What are the Maximum Speed Limits in Virginia? 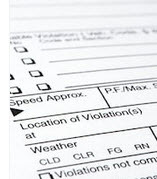 When a person operates a vehicle in excess of the maximum speed limits in Virginia, a speeding ticket can result in costly fines and even driver’s license suspension or revocation. As a result, it is vital for all drivers to adhere to the maximum speed limits on all Virginia roadways. That is sometimes easier said than done, however, as the speed limit can change based on a number of factors, including the class of vehicle or type of traffic zone. Passenger vehicles used in towing capacities. In specific traffic zones, Section 46.2-870 enables a vehicle to travel up to 60 or 70 miles per hour. These high-speed zones are designated through an analysis of traffic engineering studies and law enforcement data. Any high-speed traffic zone in Virginia will feature a lawfully posted sign displaying the maximum speed limit. If you need legal help with a speeding ticket or other traffic penalties in Virginia, it is beneficial to speak with a knowledgeable criminal defense attorney. The attorneys at Simms Showers LLP, servicing Leesburg, Winchester, Fairfax, and Manassas, feature a wealth of experience in criminal defense cases across Virginia, including speeding tickets and other traffic penalties. If you need legal help with criminal defense, contact us today for a free initial consultation.